Prehistoric fish fossil. 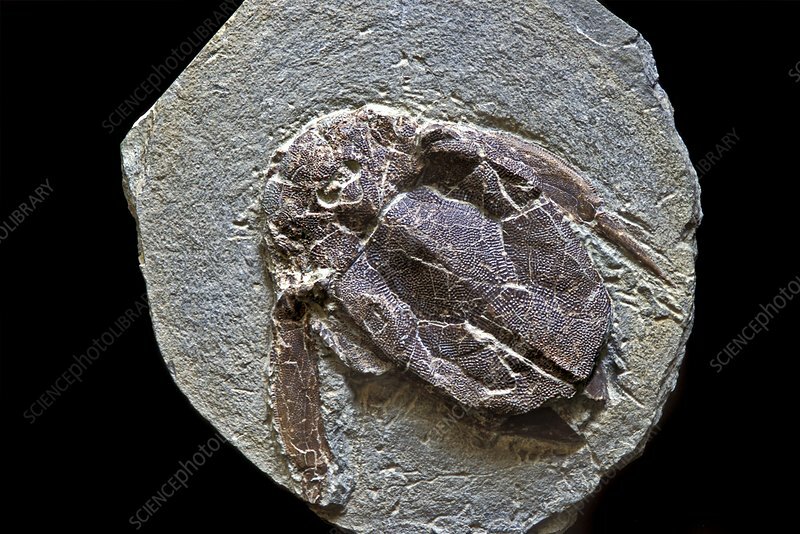 Fossilised remains of a Bothriolepis sp. antiarch placoderm. Placoderms are an extinct class of armoured prehistoric fish, which lived from the late Silurian to the end of the Devonian Period (around 416 to 360 million years ago). Antiarchs were the second most successful order of placoderms known, after the Arthrodira, and Bothrioplepis was the most successful genus of antiarchs.